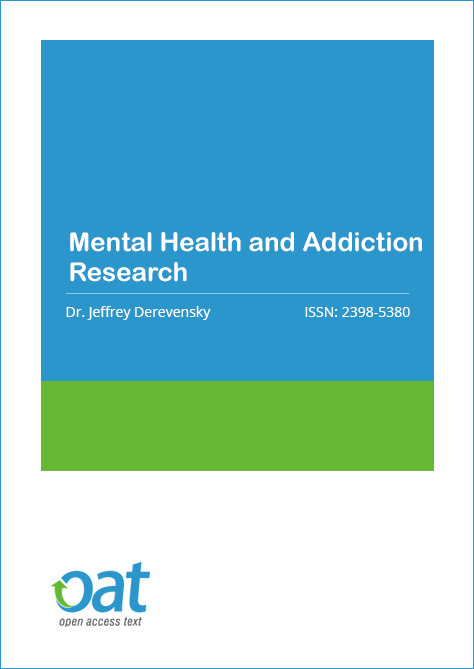 Mental Health and Addiction Research Journal is an open access journal with comprehensive peer review policy and a rapid publication process. Mental Health and Addiction Research Journal is a novel journal that will focus on addictions and mental health problems, such as depression, anxiety, schizophrenia and bipolar illness and treatments. Mental Health and Addiction Research Journal will provide a platform in today's scientific and medical literature to serve as an international forum for the healthcare and scientific communities worldwide to better understand mental disorders in order to increase the quality of future treatments and to ensure that existing treatment methods are evidence-based, as well as report upon prognostics, novel therapeutic strategies. Mental Health and Addiction Research Journal pertains to addiction and mental illness such as; depression, bipolar, behavioural disorders, Autism, Alzheimer’s and Post-traumatic stress, Psychoactive Drugs, Substance Abuse, Sexual Addiction, Addiction & Recovery, Addictions Nursing, Epidemiology of substance misuse, Rehabilitation, Smoking Cessation, Drug Dependence, Pathophysiology of addiction, Ethical, legal and liability issues in addiction, Heroin Addiction Treatment, Alcohol Addiction, Computer Addiction, Opioid-Related Disorders and other related topics. This journal allows the reader to have a better understanding of biologic factors, psychosocial factors and genetic factors of addiction disorders and mental illness. Mental Health and Addiction Research Journal will feature original research, review papers, brief reports, clinical studies, editorials, expert opinion and perspective papers, meeting reports, commentaries, and book reviews. Please, follow the Instructions for Authors. In the cover letter add the name and e-mail address of 5 proposed reviewers (we can choose them or not). *2018 Journal Impact Factor is the ratio of the number of citations achieved in the year 2018 based on Google Search and Google Scholar Citations to the total number of articles published in the last two years i.e. in 2016 and 2017. Impact factor measures the quality of the Journal. If ‘X’ is the total number of articles published in 2016 and 2017, and ‘Y’ is the number of times these articles were cited in indexed journals during 2018 then, impact factor = Y/X. Dr. Jeffrey Derevensky currently working as a Professor and chairmen of the Department of Educational and Counselling Psychology, McGill University, Canada. He was the Director of International Centre for Youth Gambling Problems and High-risk Behaviours. 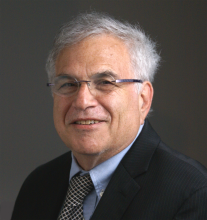 Dr. Derevensky’s research has focused on child and adolescent high-risk behaviors. He is actively involved in a variety of research, treatment, and prevention products. He has worked internationally and provided expert testimony before legislative bodies in several countries and his work has resulted in important social policy and governmental changes. He has many publications on Teacher awareness and attitudes regarding adolescent risk behaviours: A sample of Finnish Middle and High School teachers, The role of peer influences on the normalisation of sports wagering: A qualitative study of Australian men and The influence of marketing on the sports betting and consumption behaviours of young men: Implications for harm reduction and prevention strategies, etc. Mental Health and Addiction Research is an Open Access journal and we do not charge the end user when accessing a manuscript or any article. This allows the scientific community to view, download, distribution of an article in any medium, provided that the original work is properly cited, under the term of "Creative Commons Attribution License". In line with other open access journals we provide a flat fee submission structure on the acceptance of a peer-reviewed article which covers in part the entirety of the publication pathway (the article processing charge). The process includes our maintenance, submission and peer review systems and international editing, publication and submission to global indexing and tracking organisations and archiving to allow instant access to the whole article and associated supplementary documents. We also have to ensure enough investment to secure a sustainable model which ethically, legally and financially stable. The publication charges for Mental Health and Addiction Research are GBP 1690.